Unions and education activists urged Lisa Murkowski to oppose Trump’s education pick. 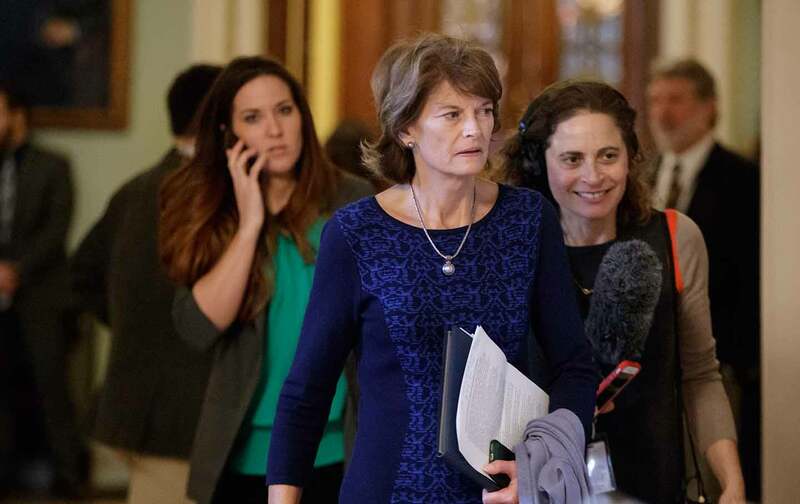 On Tuesday, in a testament to the power of grassroots resistance, Murkowski switched. Of course, she was wrong. But that did not prevent the Republican-controlled committee to vote 12-11 to approve the DeVos nomination. The committee vote on Tuesday broke along party lines. And the assumption was that the full Republican-controlled Senate would do the same—giving Trump another cabinet pick, and giving a fierce critic of public schools a defining role in setting education policy. But on Wednesday the DeVos juggernaut was upset. Though she could still be confirmed, DeVos suddenly looked vulnerable. Two key Republican senators, Susan Collins of Maine and Lisa Murkowski of Alaska, announced that they would oppose Trump’s education pick. Because the Senate is split between 52 Republicans and 48 members of the Democratic caucus, that means that—if all Democrats hold firm against her nomination and no other Republicans break with their caucus—DeVos can be confirmed only with an embarrassing tie-breaking vote from Vice President Mike Pence. And if one more Republican goes against DeVos, she could be rejected. “I simply cannot support her confirmation,” Collins declared on the Senate floor. In particular, Collins said she was “troubled and surprised” by DeVos’s “lack of familiarity” with the federal Individuals with Disabilities Education Act. Murkowski had, indeed, heard from “thousands, truly, thousands of Alaskans” who expressed opposition to the DeVos nomination—voicing particular concerns about the Trump pick’s support for school privatization and school “choice” schemes, and about the threat her approach poses to rural schools. Demanding that Murkowski vote against DeVos, protesters stood outdoors holding signs and chanting, “Stand up for Alaska,” “Public funds for public schools,” “Lisa, you know better,” and “We need educators, not billionaires.” Many also stood in a line that snaked inside Peterson Tower on L Street, waiting to take one of the elevators six floors up to Murkowski’s office where they wrote down their comments to the Republican senator. “Her myopic focus on working to move public school funding to private, for-profit and religious schools is not where attention needs to be focused at the federal level,” the group argued. Parker was right, as were the other activists who kept pressuring Murkowski.